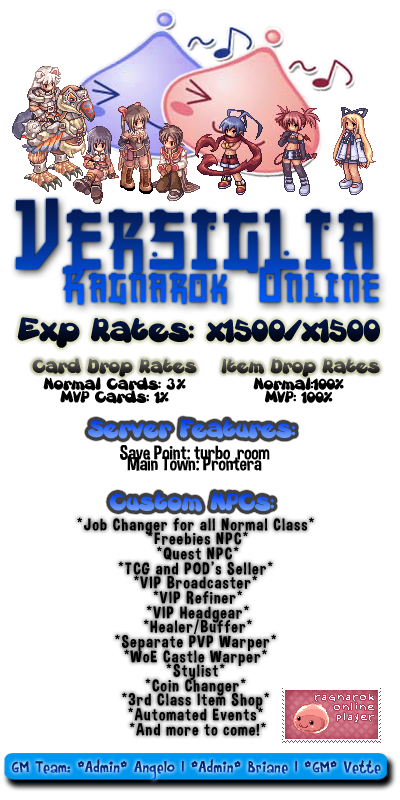 Versiglia Ragnarok Online - 3rd Job 1500x/1500x/100% Come and join! My 2 high school friends and me decided to start a Ragnarok online private server. We named it before our class section "Versiglia". Actually we already planned about it during our high school days but we can't afford to buy a VPS host. Write a review on rate my server: Review our server on RMS!